Will its contract be renewed? Mozilla could be about to lose its largest revenue stream, with reports that Firefox has lost its lucrative search contract with Google which saw the browser pull in cash for each search made through the Firefox Google homepage. The Mozilla Foundation is a non-profit organisation but revenue, alongside donations, is needed for the browser to survive and ZDnet is reporting that Google has not renewed its contract with Mozilla, which brought in a whopping 84 per cent of the company's royalty revenue last year. Although Mozilla has not confirmed the situation, it is thought that after three years a new deal is off the table and even Mozilla's own financial statement makes no reference to Google, instead it states rather cryptically: "The Corporation has a contract with a search engine provider for royalties which expires November 2011. "Approximately 84 per cent and 86 per cent of royalty revenue for 2010 and 2009, respectively, was derived from this contract." 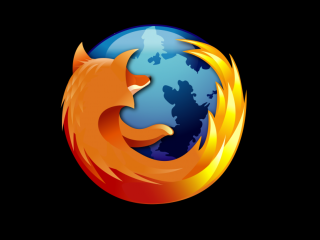 Firefox has seen its market share shrink significantly with the launch of Google Chrome. The latest browser share results show that Firefox has been usurped by Chrome in global browser stats with Google's browser having 25.69 per cent of the market, up from just 4.66 per cent in 2009. Internet Explorer, however, is still very much the dominant browser. Mozilla's updates of Firefox have become increasingly erratic over the last few months – there were just six weeks between Firefox 7 and 8. A statement has been released by Mozilla about the situation but it gives little away. It reads: "Our search relationship with Google remains positive for both of us. We are in active negotiations and have nothing further to announce at this time. "We have every confidence that search partnerships will continue to be a strong and growing generator of revenue for the foreseeable future. "